Mike T. Lyddon’s latest low budget feature FIRST MAN ON MARS hits the film festivals in October and November of 2016! 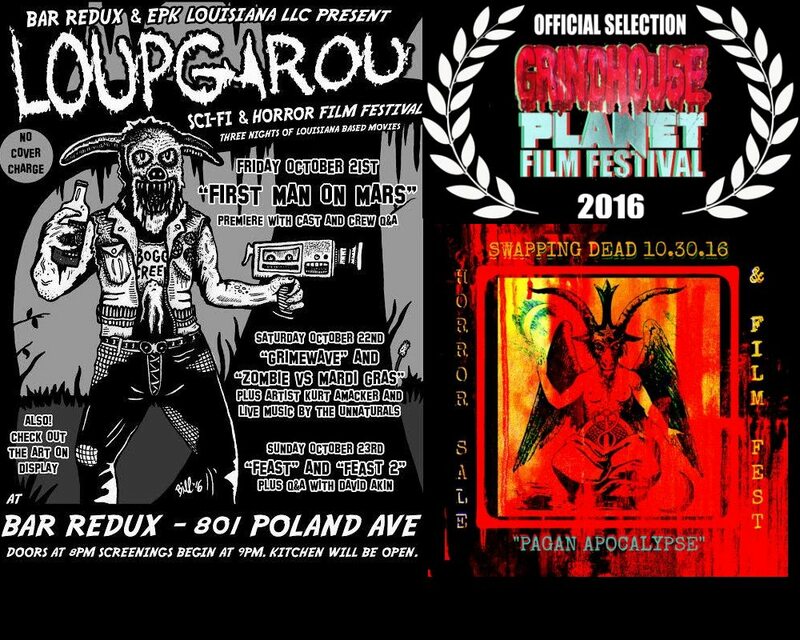 In October the film has its New Orleans premiere at the Loup Garou Sci-fi and Horror Film Festival along with another Lyddon co-creation ZOMBIE! VS. MARDI GRAS and a short film called BLOOD OF A SAINT from Lyddon’s anthology production HORROR ANTHOLOGY MOVIE VOL. 1. Next up SWAPPING DEAD FILM FESTIVAL which took place at the world famous SCARECROW VIDEO where FIRST MAN ON MARS was a finalist. The film is also an official selection at the GRINDHOUSE PLANET FILM FESTIVAL in the UK. This entry was posted in horror anthologies, horror film festivals, science fiction, science fiction horror dvd and tagged First Man on Mars, Grindhouse Film Festival, horror film festivals, Loup Garou, Mike T Lyddon, Swapping Dead, zombie! vs mardi gras. Bookmark the permalink.